CLOSEOUTS. 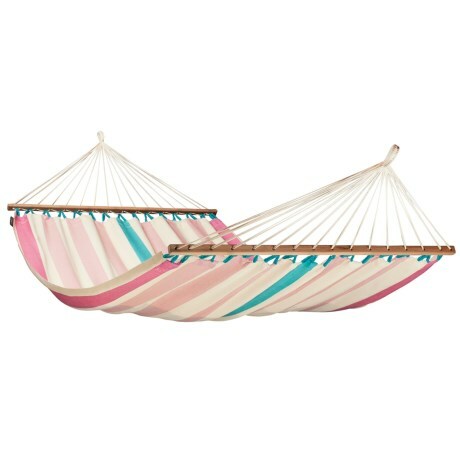 Get your relaxation on with La Siestaand#39;s Colada Lychee hammock, crafted of durable fabric that holds up to tough outdoor conditions but still feels soft and comfortable against your skin. Available Colors: LYCHEE.